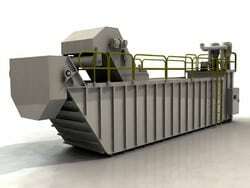 Grinding filters are extensively used in various industries. They help the contractor in maintaining uniformity throughout the project. They can also level out all high spots on any surface. Therefore, microfiltration is the key to significantly increase the life of grinding machines and have them remain in the system for many years. At Barnes International Inc, we provide cutting and grinding fluid filtration systems for machine tool cutting applications. We are composed of highly skilled professionals that are extremely dedicated to producing excellent results. We believe that filtered coolants help increase the surface quality and dimensional accuracy of the manufactured products. Diligent fluid care will decrease the otherwise necessary disposal costs of contaminated fluids. Only continuous filtration and maintenance can significantly extend the life of the coolant. We hope that our products and our commitment to service will earn your company loyalty for the ongoing future.